Wegmans, the grocery store I fell in love with while living in Ithaca, is coming to the neighborhood. As a way of showing good will to the local community, they actively support local non-profits and food banks. I serve as the treasure of the Tri-Boro Food Pantry which services 100 families in Northern New Jersey. The store opens at the end of September but they have already sent us several donations. On August 24, Wegmans threw what they call a rodeo. As the first trucks arrive to stock a store, non-profits get to pick what they need from a truck. Five different non-profits converged on the new store. A photographer from The Record was there and got a picture of me smiling. 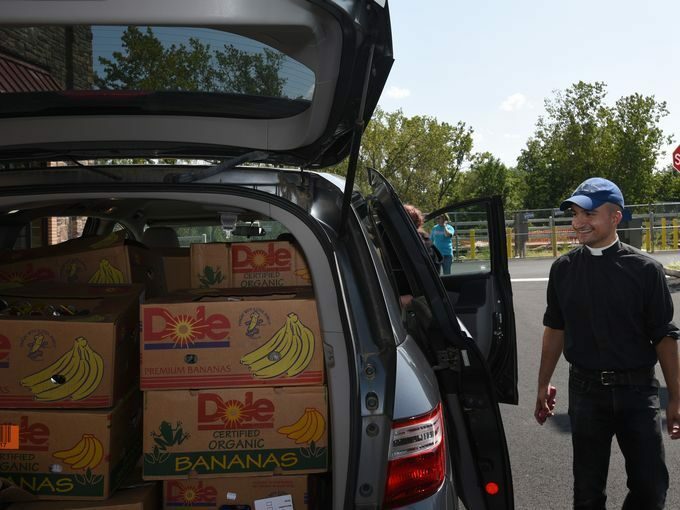 We sent four mini-vans and SUVs to our small food pantry. Thank you Wegmans!